John Healy / former prisoner and author of The Grass Arena. The king was checkmated by the queen. Present to the author made by prisoners. At a time when prisons are in the news due to increasing violence, drug consumption and low morale, it has never been more important to focus on education and rehabilitation. 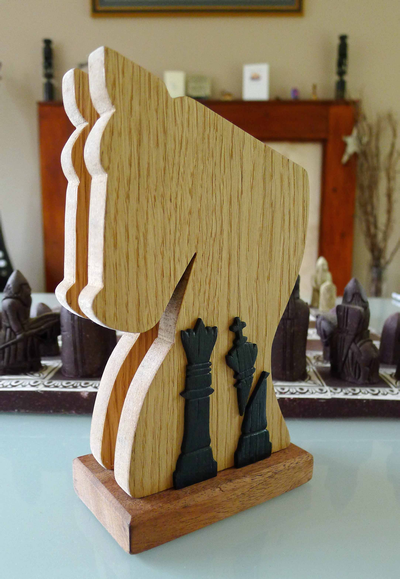 Chess makes a difference because it is a fantastic metaphor for life. We must think before making our move, and accept that our decisions have consequences. It also teaches us to learn from our mistakes and to develop a more disciplined approach to problem solving. Perhaps most importantly of all, it is a constructive use of time and helps to forge friendships. Chess makes us consider the other persons point of view. 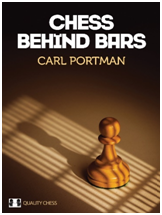 Download an excerpt from Chess Behind Bars. Read more about the book or buy it at Quality Chess. for 25 participants in a prisons. 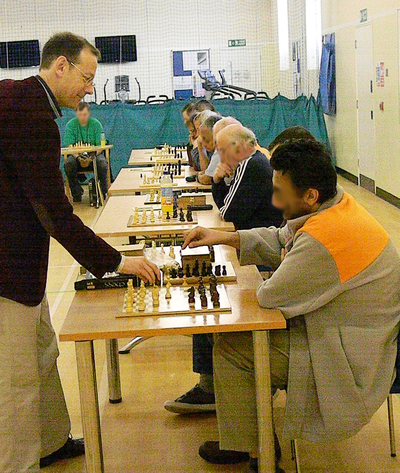 Learn how chess is making a positive difference in prisons today. 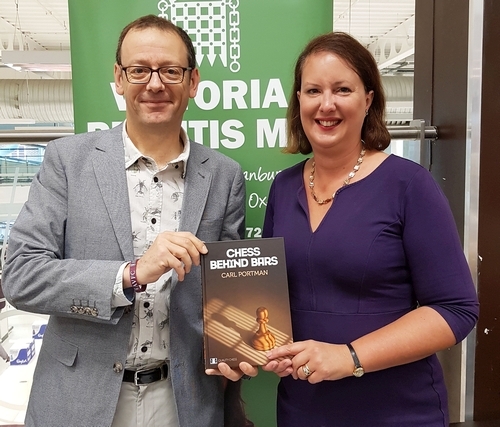 To book Carl for a lecture, chess coaching session or to order a signed copy of his book direct, contact him at carl@caissaconsulting.co.uk.